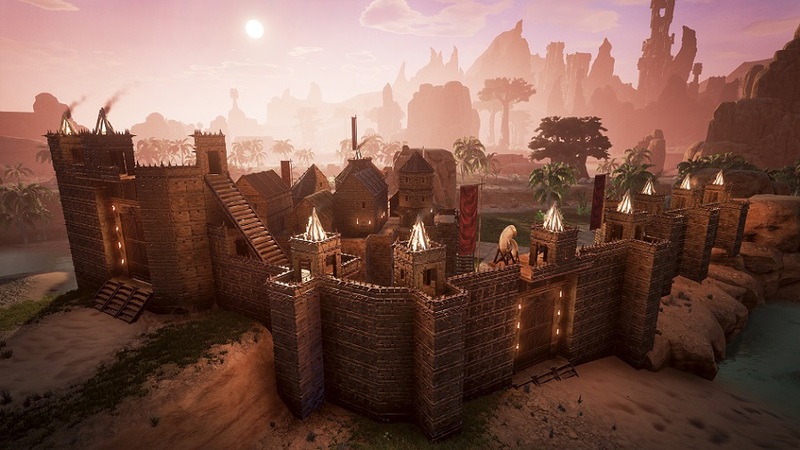 In Funcom’s current Devblog for Conan Exiles, the developers mention several new features set to be added into the game later this year. This will include an update for the slave system and an expansion to cities, breathing new life into Hyboria. In one of the upcoming major updates, the slave system will be expanded, introducing new slave types. These new slaves will help improve your living conditions in the Exiled Lands with their new roles. The expansion will take place through a settlement system that will also add city life, slave scheduling, barracks, farming and trading. Your slaves will move about on their own, returning to their barracks when night falls to rest. Some slave types rumoured to be included are farmers and traders, although they haven’t formally announced this yet. Systems will also be put into place allowing you to rescue already owned slaves from other villages and have them work for you instead. This is good news because it eliminates the need for the Wheel of Pain. Make sure you’re not vulnerable to attack at night by adjusting the work times for your guards. This will work in a similar way to a layer system with day/night layers.